In the third film of the Tulse Luper Suitcases, Luper, writer, collector and archivist, continues his adventures as a professional prisoner during the later years of the Second World War and its aftermath, the Cold War. Luper is shipwrecked on the Paradise Island of Sark and spends three months in self-imposed imprisonment on an idyllic beach until betrayed to the Germans by the Contumelys, a trio of jealous sisters. Pursued by a bounty-hunting jailer, Luper escapes to Barcelona to support and protect the lesbian marriage between the widow Mathilda Figura, of one murdered jailer, and Madame Plens, the mistress of another. Luper becomes a prisoner in Turin, in a travelling elevator, a coerced liftboy privy to the lives and secrets of Italian Fascist-beleaguered citizens, including Primo Levi, taking his clients to the top of the Mole Antonelliana, a symbol of freedom in the sky. Luper is in Venice where he drowns his jailer Zeloty in a canal, and in Rome where he finally becomes the lover of his arch Mormon American jailer, Lephrenic, who is dying of uranium poisoning. Luper then escapes north to Budapest to assist two mortuary attendants, Boule and Daude, in their self-imposed task of dragging Jewish corpses from the Danube, where he meets Raoul Wallenberg, the saviour of jews from Hungarian fascists. And then in his sixteenth adventure in these three films, he is imprisoned on a checkpoint-post bridge on the East-West German border in 1963, blackmailed for his freedom by a ferocious chess-playing Russian Colonel Kotcheff and his wife Alazarin who demands stories that, Scherherazade-like, Luper supplies, before escaping, when he has completed a new collection of tales for The 1001 European Nights. Paralleling his adventures, Luper’s reputation as a writer and as a collector, has never stopped growing, and the 92 suitcases associated with his life are finally presented in a grand exhibition that culminates in the official unpacking of his 92nd. 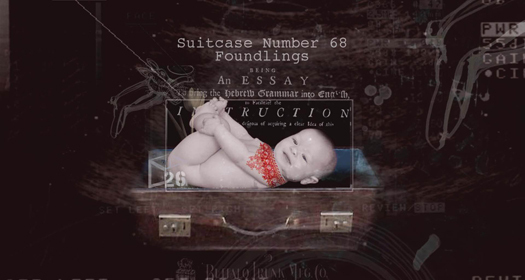 The contents of this suitcase present evidence that reveal an elaborate hoax that implies that Luper may never have had the existence he is supposed to have had, but may have been killed in a childhood accident when he was ten years old, when the garden wall he climbed in the Newport children’s game, collapsed around him. His long life indeed could have been an elaborate fiction created in love and guilt by his childhood friend, Martino Knockavelli. Zoltán A. Kerényi - managing director: Focusfilm Kft.